This book collects 15 papers on the greatest philosopher of late antiquity and founder of Neoplatonism, Plotinus (d.270), and the founding figure of philosophy in the Islamic world: al-KindÄ« (d. ca. 873). A number of the contributions focus on the text that joins the two: the so-called Theology of Aristotle, in fact an Arabic version of Plotinus’ Enneads produced in al- KindÄ«’s translation circle. 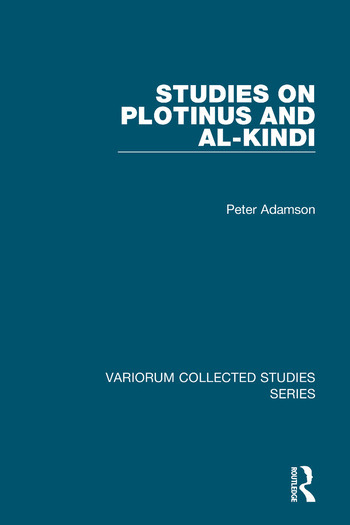 Across several papers, Adamson argues that this translation is best understood as a reinterpretation of Plotinus designed to appeal to contemporary readers in the culture of the ’AbbÄsid era. Two contributions also analyze the notes on the Theology written by the great Avicenna. Other papers look at aspects of al-KindÄ«’s own thought, exploring his ideas concerning metaphysics, free will astrology, and optics. The traditions of Plotinus and al-KindÄ« are also treated, with papers on Plotinus’ student Porphyry and his Arabic reception, and on followers of al-KindÄ«. Adamson argues that we can identify what he calls a 'Kindian tradition' in the 9th-10th centuries. He discusses the philosophical presuppositions of this movement, and the use of al-KindÄ«’s ideas made by one particular representative of the Kindian tradition, the Persian thinker Miskawayh. Peter Adamson is Professor for Late Antique and Arabic Philosophy at the Ludwig-Maximilians-UniversitÃ¤t, Germany.